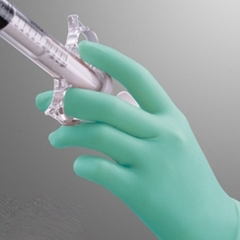 Powder-Free Latex Exam Gloves Offer Soothing Protection to Your Hands While You Work. Our future is in your hands along with Aloe Vera coating to moisturize dry, irritated skin. The technology innovation is unique, as these gloves are manufactured on hand formers that are shaped more like the natural position of your hands. 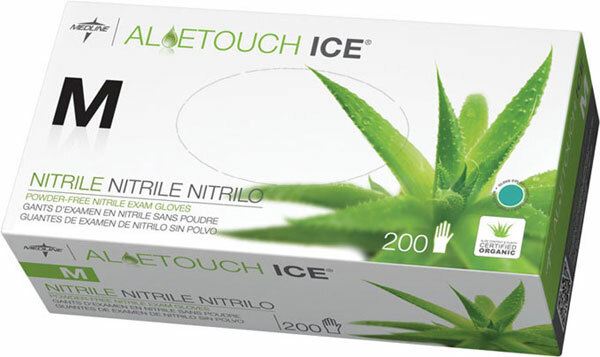 This design surpasses ambidextrous formers, which product gloves actually create stress and tension on your hands (aloe-touch is a breakthrough in latex glove technology) The new Aloe-touch Ease gloves are the future of glove usage, so experience the future today.